Virospack is the leading name in cosmetic dropper packaging. Since its foundation in 1956, the Spanish company has become known around the globe as “The Dropper Company” as its cosmetic droppers are chosen again and again by leading international brands. 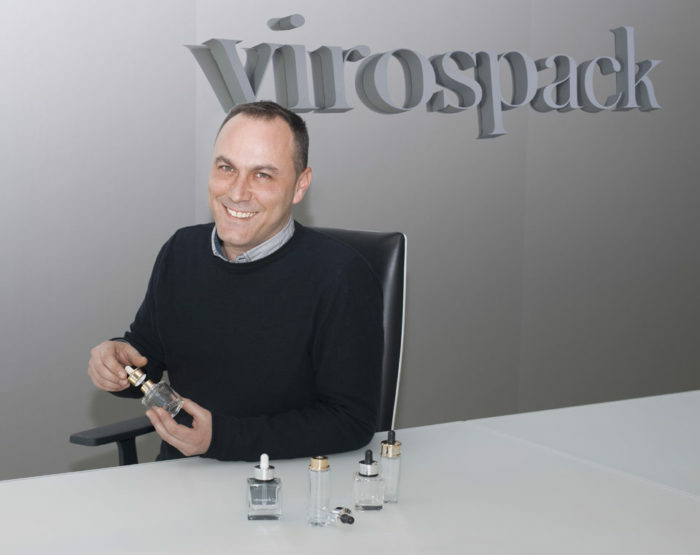 We caught up with Gustavo Bay, Virospack’s project leader for the Magnetic Dropper concept to learn what we could about the new offering and how it’s set to change the way droppers are used in the home. 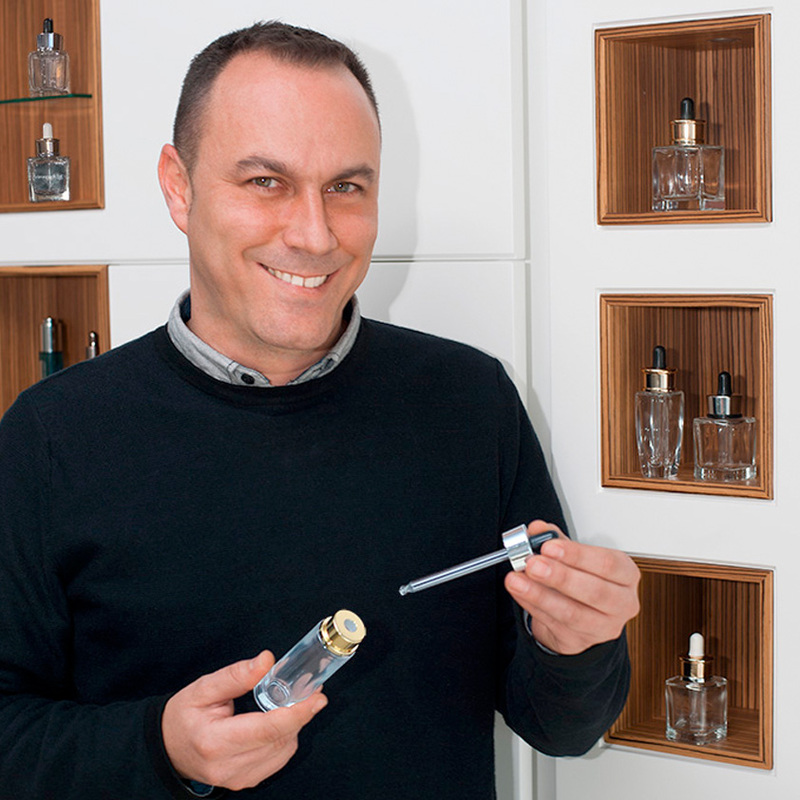 GUSTAVO, IN GENERAL, WHAT ARE THE BENEFITS OF DROPPERS FOR COSMETIC FORMULATIONS? Droppers are an ideal packaging choice for low viscosity cosmetic formulations because they allow for targeted application and dosage. In the technical department of Virospack we have many projects every month, both specifics for customer, and developments of the company to offer innovation to brands and functionality, safety and of course precision, in the use of the product, to the final consumer. 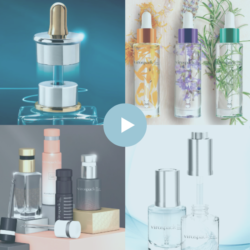 The main benefit of the droppers for cosmetic formulas is that they offer the consumer the advantage of being able to treat small areas with a specific dosage. HOW HAVE COSMETIC DROPPERS DEVELOPED AND ADVANCED? All these improvements offer numerous benefits to both the consumer as well as the brand behind the cosmetic that needs to maintain the integrity of its image. Every facet of the cosmetic dropper is scrutinized by the Virospack Research and Development team. 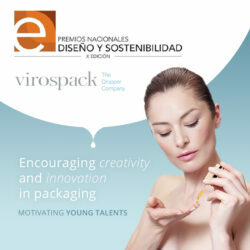 The creativity of our R&D people means that Virospack constantly progresses and pushes boundaries within the industry. That’s what led us to create the new Magnetic Dropper. WHAT DOES THE NEW MAGNETIC DROPPER DO THAT IS DIFFERENT? It’s a truly innovative dropper, a breakthrough in the dropper market. A novelty in packaging for skin care because magnetic closures are a trend and are used in other categories such as fragrance or lipstick, but never until now in skin care. The Magnetic Dropper offers an exclusive closing system based on magnetic sealing that makes it unique in the market. The opening and closing of this new dropper does not require screwing and unscrewing. The closure is fitted with an exclusive and patented sealing system which uses the magnetic attraction. Consumers are accustomed to a screw top for droppers, and those are usually fine, but now with the Magnetic Dropper, they get the job done. This development has been carried out in our facilities after an elaborate industrial engineering adjustment without losing the image and quality objectives demanded by our marketing department. The final result is a sophisticate dropper with two visible parts that feature a magnet that produce an attraction to each other: Dropper: Composed in its visible part by a cap that can be painted or metallized, a pipette and a rubber bulb. Bottle neck cover: It is a bevelled embellisher with metal shell that has a “shoulder-cover” function of the vial and wiper for the pipette. The Magnetic Dropper is elegant, high quality, different, and with a premium image and a wide range of finishes for personalization. This new magnetic system can help to position a product as a luxury item. Actually, it is. The system requires very little effort to separate the dropper from the bottle, yet it maintains a perfectly flush and secure seal when the closure is attached, due to the magnets. Even people with reduced dexterity can use the Magnetic Dropper without having to unscrew anything. WHAT WAS THE RESEARCH DRIVEN BY? I MEAN, WAS IT A RESPONSE TO A MARKET NEED OR ARE YOU IN THE MIDST OF CREATING ONE? Feedback from brands is an essential part of Virospack’s ability to create new concepts. This feedback is generated by the consumer and as the end-user of a product, the consumer’s voice is an important one to acknowledge. It is important for Virospack to create new dropper concepts like the Magnetic Dropper, to reinforce the company’s position as the world’s foremost dropper manufacturer. This leader position forces us to trend in the sector. CAN IT BE INCORPORATED INTO EXISTING LINES? Of course, the dropper consists of two visible pieces. One of them has been designed to fit in the neck of the bottle. And the truth is that, always at the service of our customers, has been developed in such a way that fits with standard FEA15 neck flasks. This standard thread is the most usual in cosmetic containers, which means that we offer brands an innovative and different dropper, but that adapts to the majority of standard bottles in the market. In this way, we can add the magnetic dropper to existing product lines, with very little recalibration, something that many of our customers appreciate. Sure. Because of the way the closure is designed, in modular parts, different decorating options on the separate parts allow the closure to be easily customized. Customers can choose some materials, designs, colors, finishes … obtaining a highly innovative and quality personalized magnetic dropper. The two visible pieces —the cover and collar drainer- can be metallized or color injected answering to brands desires. In addition to the wide range of decoration options that we offer, we have developed two different cover designs increasing the available options to our customers. The fact that this new dropper concept fits with FEA15 bottles makes the possibilities of a complete pack enormous. The Magnetic Dropper combines with a multitude of designs, styles and very different shapes, from the most square bottles and straight lines to the most cylindrical ones. The final package can be quite specific to a brand. Many of Virospack’s recent innovations have, in fact, been in decoration. Unlike other companies, we offer a multitude of finishes thanks to all the decoration techniques we make in our own facilities. We can decorate the pipette, paint the bottles in opaque, gradient or translucent colors … decorate the teat with metallic finish, sheathed, pearly … we can make the soft finish, tactile finishes … and of course customize with the techniques demanded by brands such as hot stamping, screen printing, metallization, personalized coloration. Our droppers offer personalized style coupled with excellent functionality. And of course the Magnetic Dropper also. IS THERE ANYWHERE WE CAN SEE A MAGNETIC DROPPER ON THE MARKET? We’ve just introduced it! We have previewed it to some of our larger brand customers and the response has been excellent. We have already received requests for technical information, but we need some time to get one on the shelves. I’m sure you’ll be seeing a lot of them in upscale stores soon!